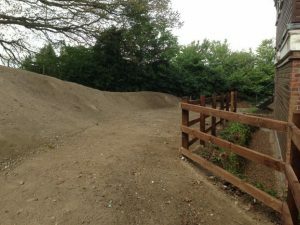 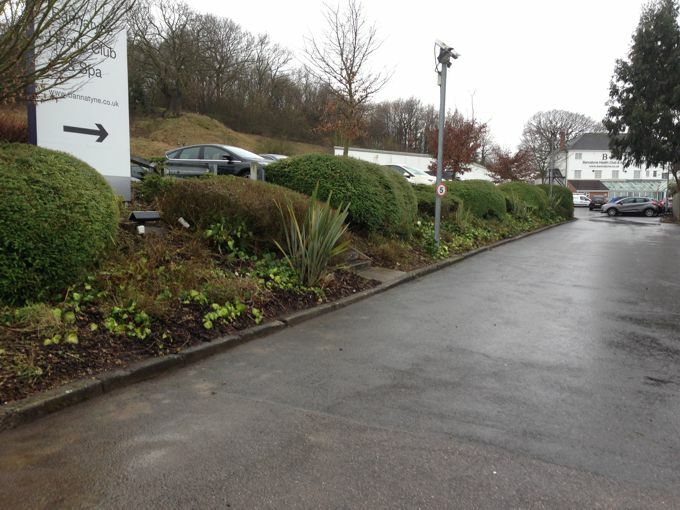 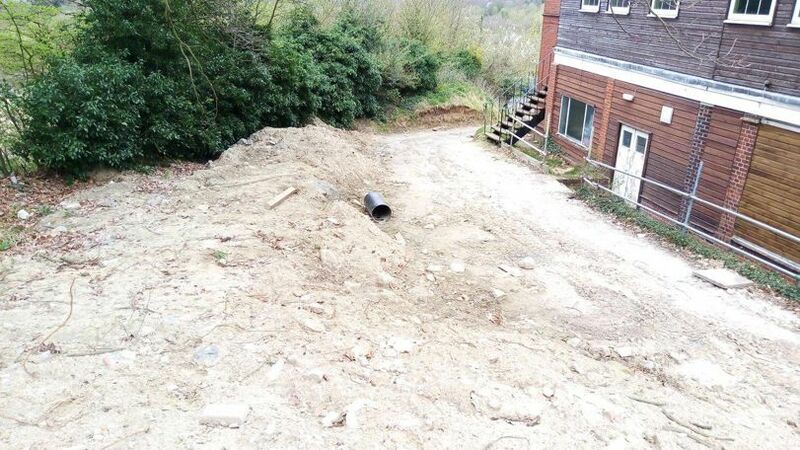 Landscape improvements – Bannatynes, Orpington, Kent. Greenman are approved ground work contractors to the Bannatyne Group and work throughout the UK at all of the company properties. 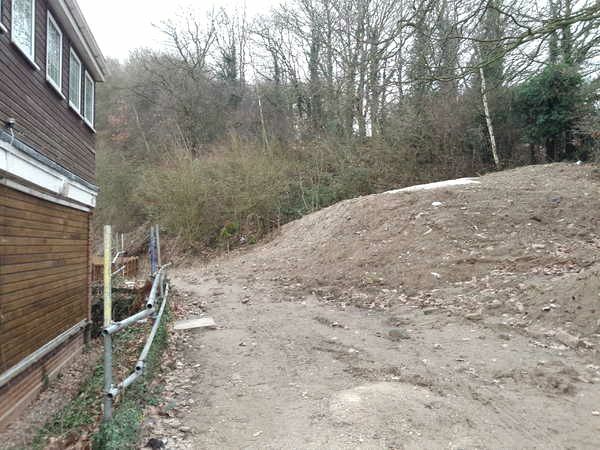 We were instructed to improve the general appearance and ensure Health & Safety requirements were in place following the purchase of the property at Orpington in Kent. Our grounds maintenance section carried out the visual improvements to the front of house areas, followed by one of our in house landscaping teams. 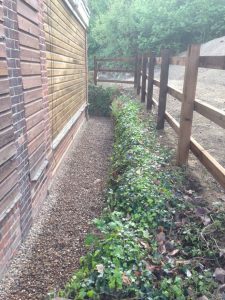 Re profiling was carried out with at the rear of the property to improve the visual appearance and prepare for the new driveway. 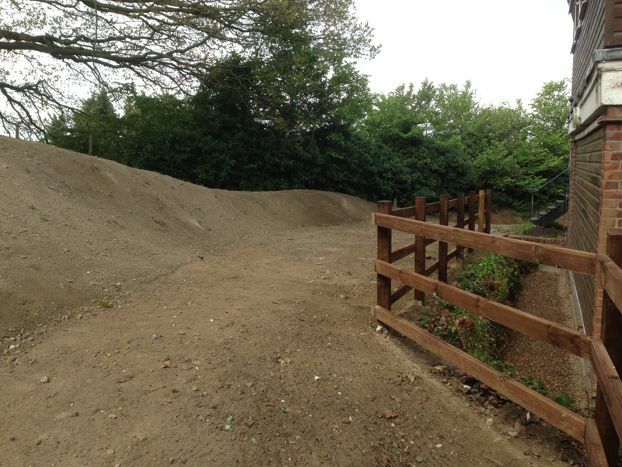 Seeding of all bare areas was undertaken with specialist seed required due to the sandy makeup of the local soil. 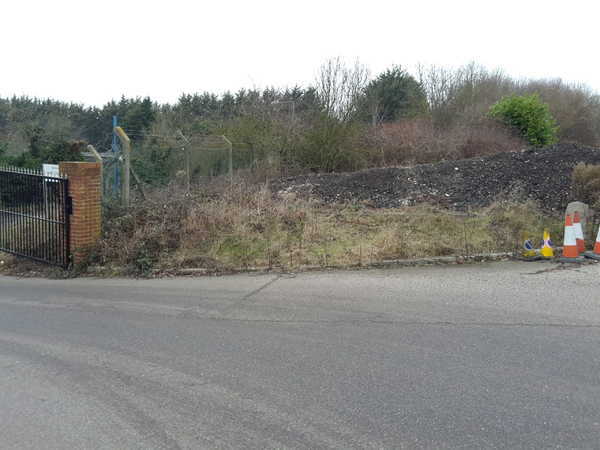 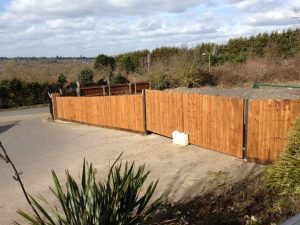 A large screening fence was required for the main driveway to screen the piles of waste on 3rd party land. 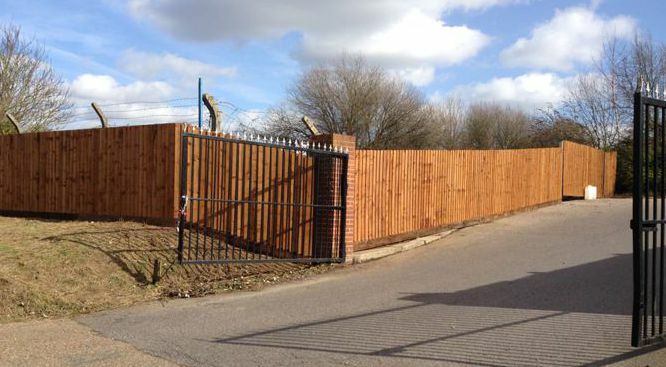 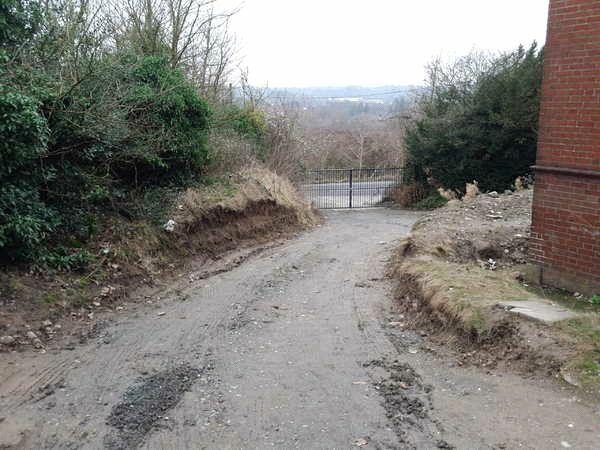 We fabricated two steel access gates to enable the cladding to continue uninterrupted up the slope of the road. 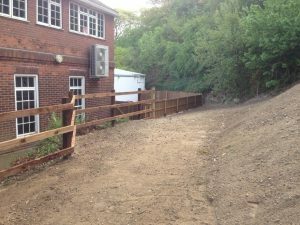 The fire escape was resurfaced and new edge protection fencing installed. Some of the photos illustrate the condition of the site prior to the works being carried out.